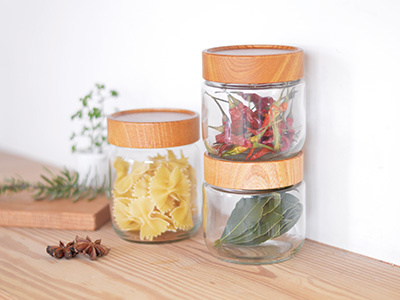 MokuNeji Stacking pot is a glass storage bottle with a stackable wooden screw top. 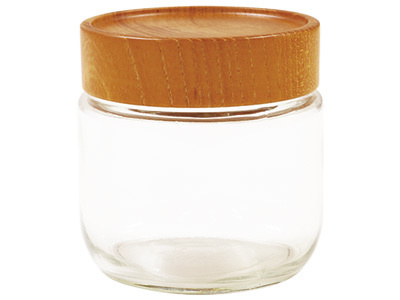 The carved lid allows it to be stack on top of each other. The beautifully aligned bottles would look beautiful while being functional as well.